TIMELESS AND TRANSITORY 20th Century Relations Between Romania and the English-Speaking World by Ernest H. Latham, Jr.
by Ernest H. Latham, Jr. Preface by Professor Paul Michelson, Afterword by Bogdan Antoniu, D.Hist. 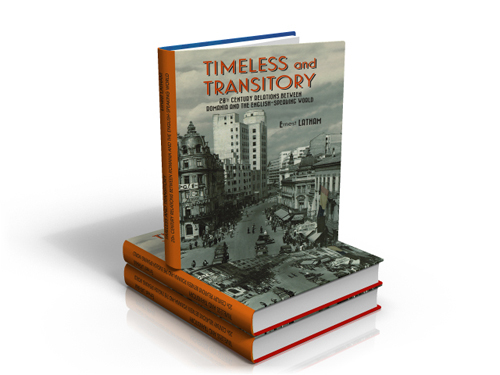 TIMELESS AND TRANSITORY is an internationally cast collection of essays on Romania, highlighting historical characters who, by the pen of this skilled historian and his exquisite art of the portrait, illustrate much broader social and political phenomena of the 20th century. Ernest Latham’s sharply crafted words bring new insight to the eclectic Sylvia Pankhurst, the first translator into English of Romania’s national poet, Mihai Eminescu; to Olivia Manning and her famous Balkan Trilogy; to Countess Waldeck, with her very exceptional window into Romanian life during WW II (Three Ladies). The author reminds us of the voices of nationalism during the times of war; the useful service rendered to his country by the Romanian diplomat Dimitri D. Dimancescu; the experience of American diplomat Donald Carl Dunham in troubled times of the 1940s and after – and much more. ERNEST H. LATHAM Jr., Ph.D., American historian and diplomat. He served as the American cultural attaché in Romania between 1983 and 1987. Author of numerous articles and reviews about Romania. Fulbright Professor in Romania (2000 – 2002). At the present time he is the coordinator of advanced area studies for Romania and Moldova at the Foreign Service Institute (U.S. Department of State). A frequent traveler to Romania, the author possesses one of the best personal libraries of Romanian historical and cultural materials in the United States. Paypal payment details will be forwarded to you.